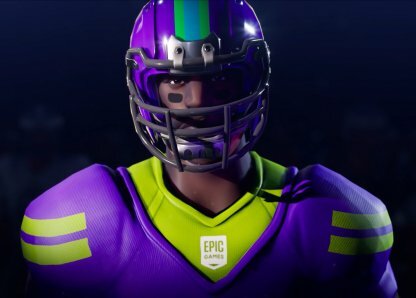 Check out this Fortnite guide for information about the NFL collaboration including team jersey outfit skin customization and release date. 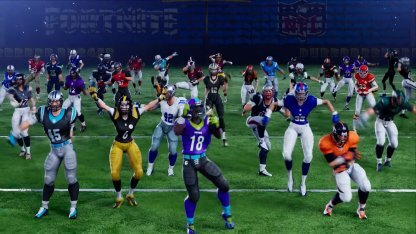 Fortnite has collaborated with the NFL to bring American football fans closer to their favorite teams. 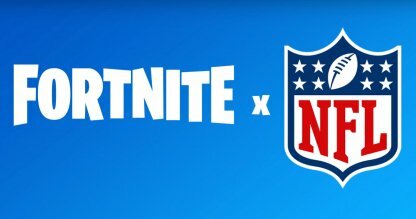 The collaboration includes NFL themed Outfits that can be purchased from the Fortnite Item Shop. 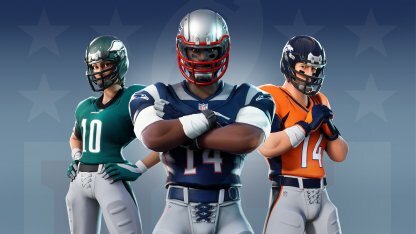 Players will be able to customize the NFL themed outfits - including switching NFL teams and choosing their jersey numbers. NFL fans will be able to banner their favorite American football teams simply by switching their jerseys. They can choose between the 32 NFL teams plus an additional Fortnite team! You can also choose an iconic jersey number to represent your favorite player or simply pick a number from 1-99 that's closest to your heart. 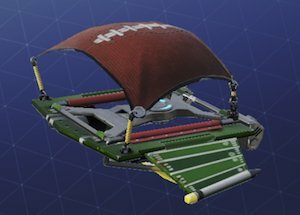 The NFL collaboration set includes "UPRIGHT AXE", "GOLDEN PIGSKIN", "FIRST DOWNER" Pickaxes and "TOUCHDOWN" Glider as a part of its set. Rare NFL Pickaxe: "UPRIGHT AXE"
Aim for that extra point with the UPRIGHT AXE! 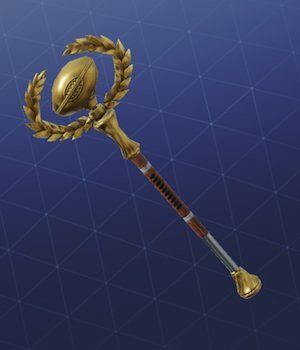 Uncommon NFL Pickaxe: "GOLDEN PIGSKIN"
Show your true color as a champ with the blinging GOLDEN PIGSKIN pickaxe! 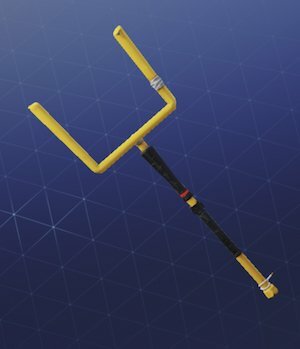 Uncommon NFL Pickaxe: "FIRST DOWNER"
Storm the field and blitz to victory with the FIRST DOWNER pickaxe! 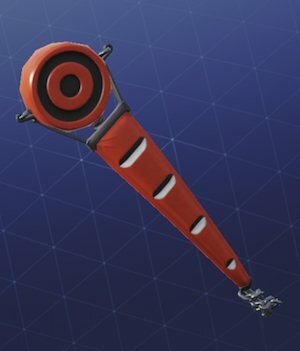 Show that you intend to get the Victory Royale with the TOUCHDOWN glider! Be ready for the next play as soon as you land!